Art is always a hit with my kids, but especially 3D collages. They seem to inspire a higher level of creativity, allowing the children to build on, up, and around. In addition, 3D collages look amazing when displayed on bulletin boards, and they help to meet the art materials requirement on the Environmental Childhood Environmental Scale Revised (ECERS-R). I was ready to present another type of this art form, and Zoey was ready for something Easter. We were deep in the aisles of Hobby Lobby when Zoey spied these little guys. 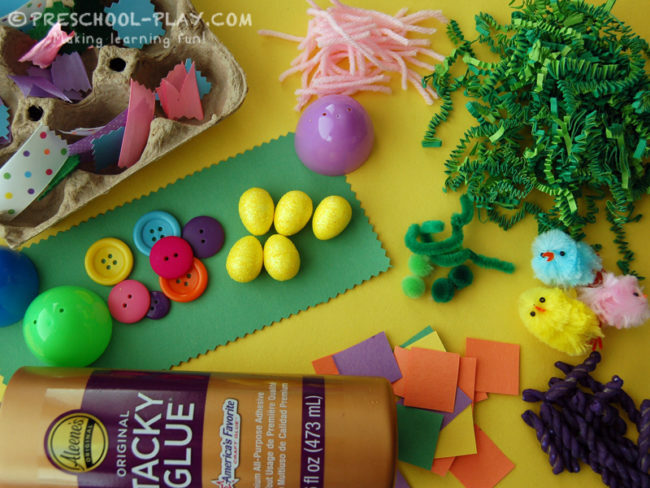 Chicks, eggs, and buttons..oh, my! 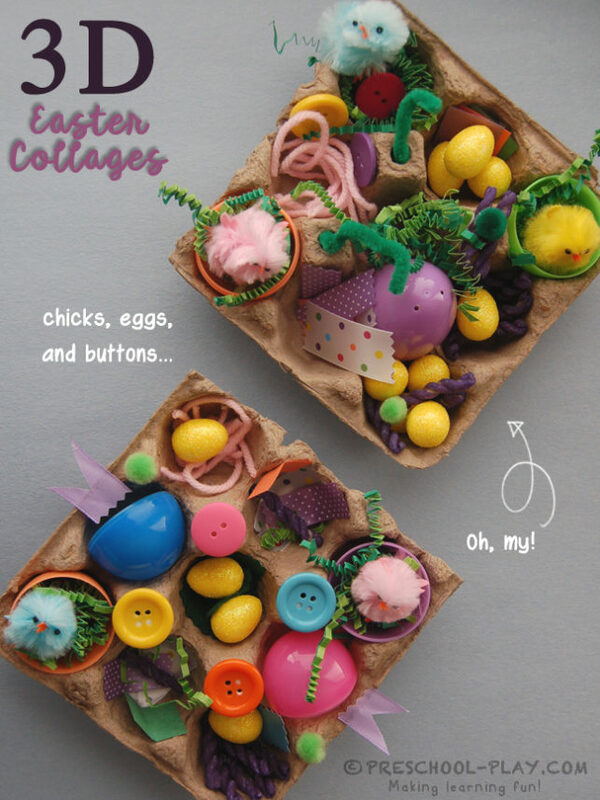 That’s all it took – we knew we had to have our students make 3D Easter collages. 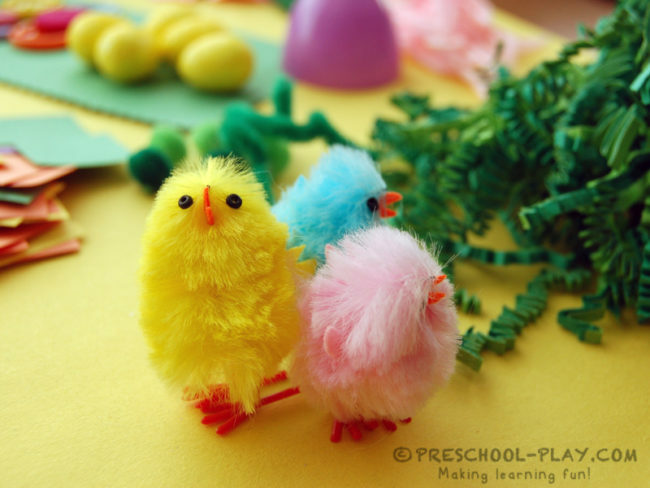 To introduce this activity, we will be reading There Was an Old Lady Who Swallowed a Chick!